Tualatin, OR – February 4, 2019 – VersaLogic Corp., the embedded industry's most trusted computer company, has announced its new Android Eval Kit. 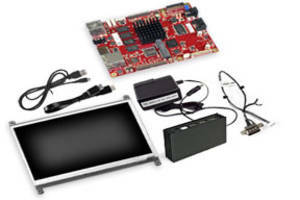 The Android Eval Kit (P/N: VL-EVK-ARM-AND1) is available from both VersaLogic and Digi-Key Corporation for $599. Contact Sales@VersaLogic.com or visit VersaLogic.com/Tetra or Digikey.com for more information.